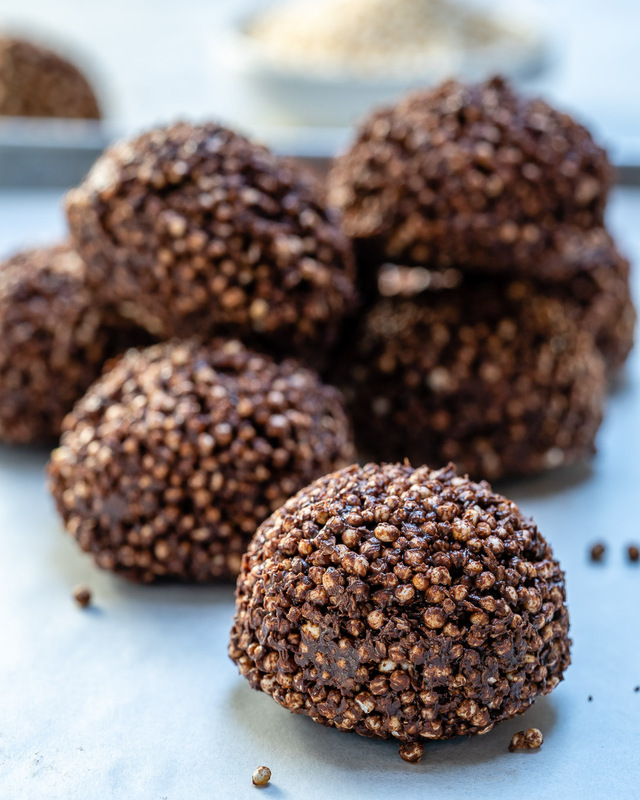 No-Bake Chocolate Quinoa Crispy Treats are Clean Eating Approved! 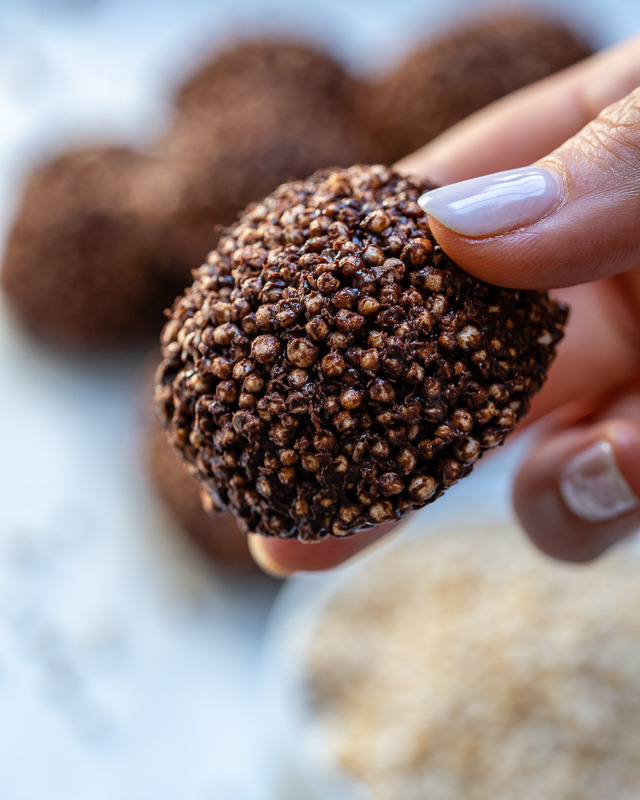 Same basic idea behind the Crispy Treats we grew up with…just healthier! 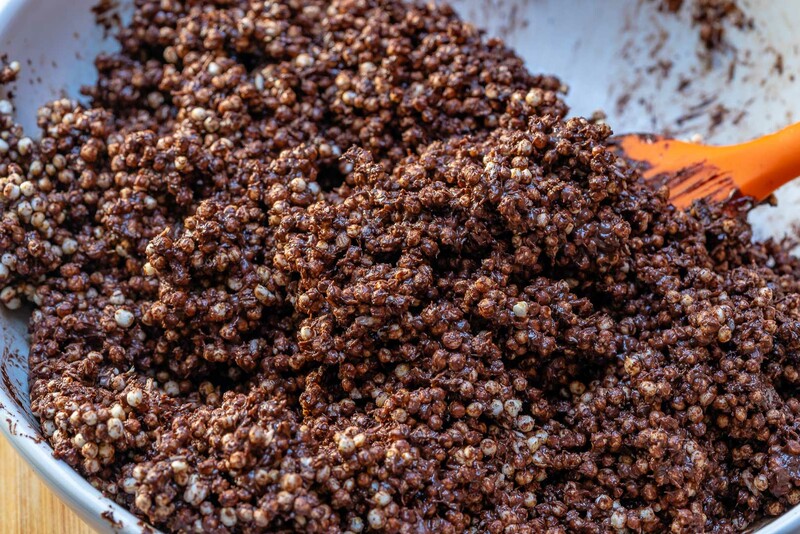 This quinoa has been puffed, similar to puffed rice cereal – pretty cool, right!?? 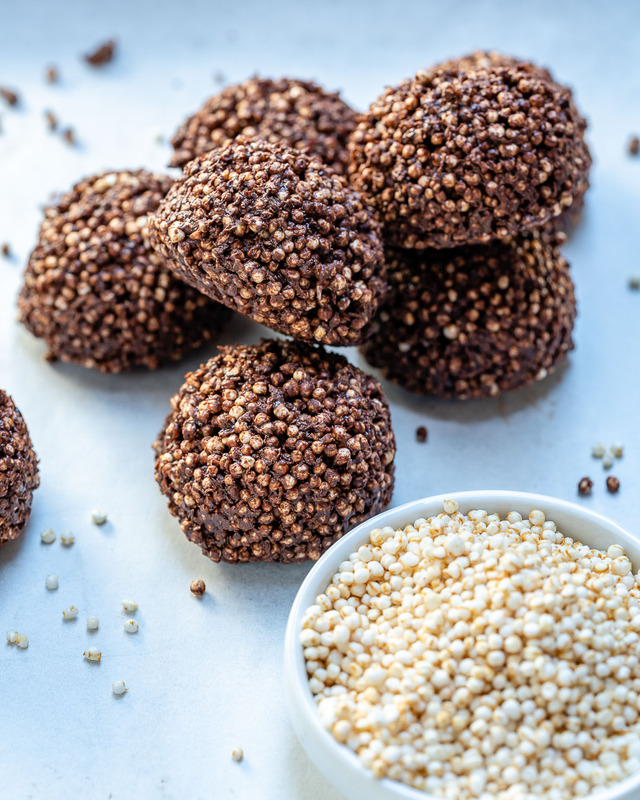 Puffed quinoa is packed with high-quality protein, fiber, and iron so it not only tastes great but is also great for you! 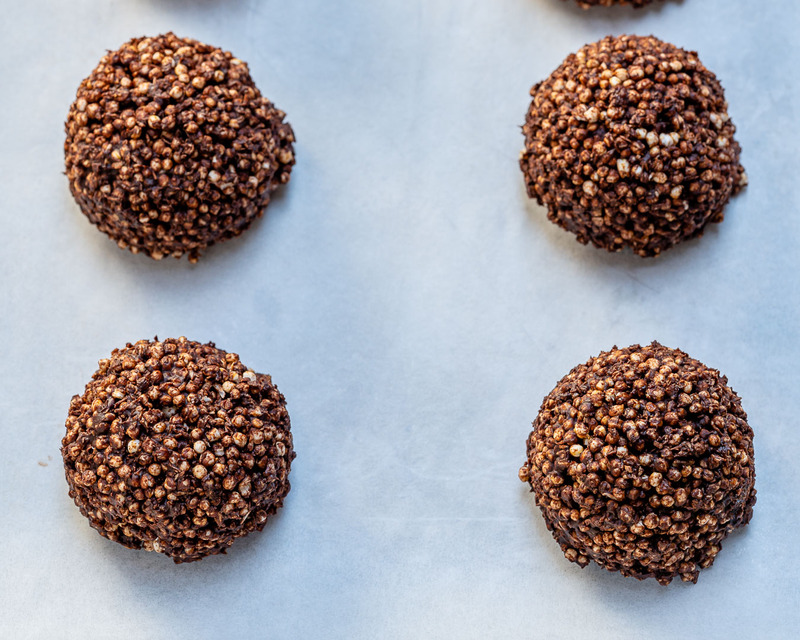 It’s a gluten-free grain, and its crunchy + tastes nutty. 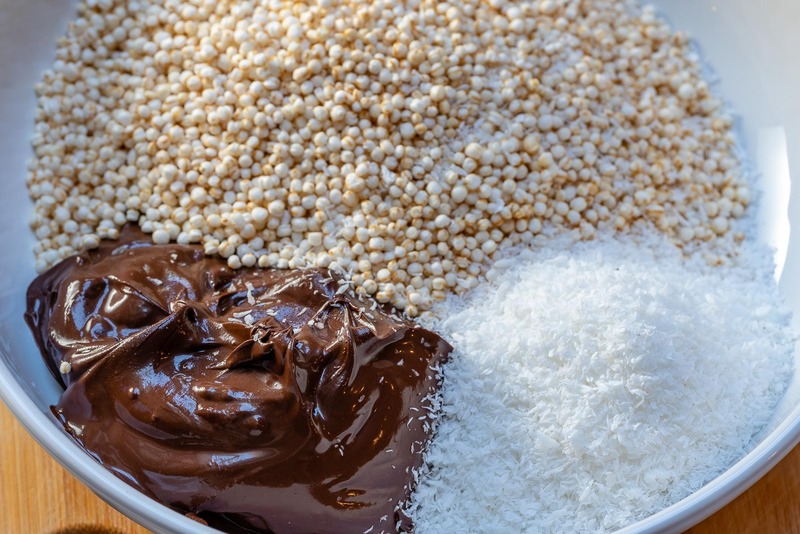 In a large mixing bowl, combine the melted coconut oil, with melted chocolate until well incorporated. 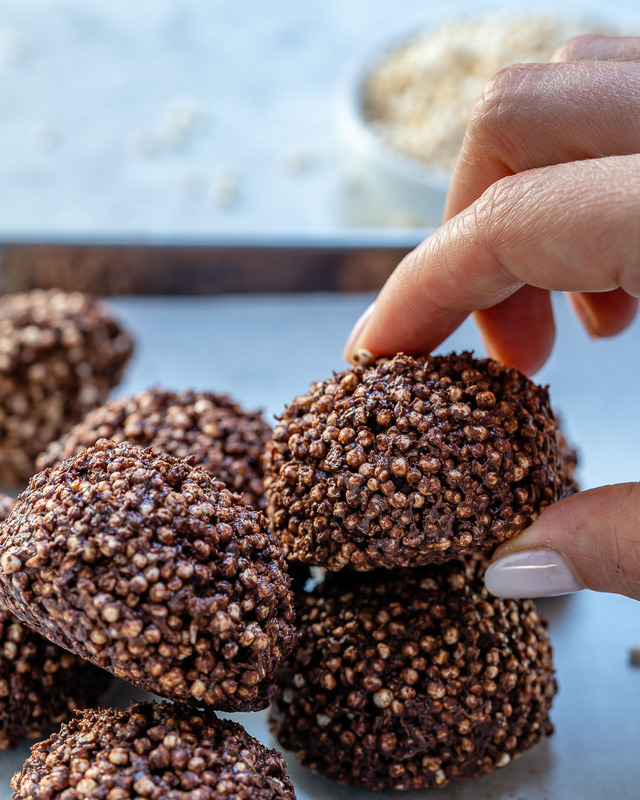 Fold in the shredded coconut and puffed quinoa. 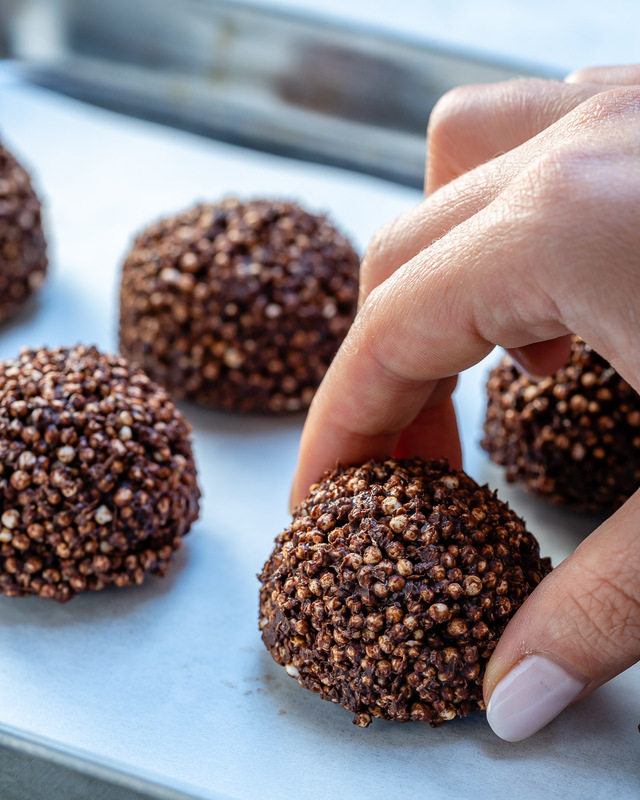 Using a cookie scoop, scoop about 8 balls on a parchment lined baking sheet and refrigerate for about 20 minutes until chocolate sets. 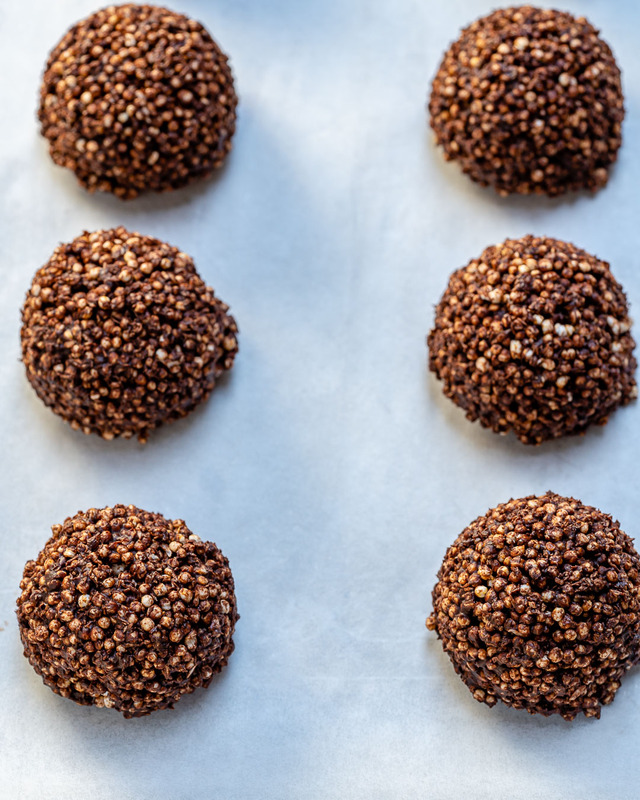 Enjoy immediately, or store in the refrigerator in a sealed container. Rachel In a large mixing bowl, combine the melted coconut oil, with melted chocolate until well incorporated. Fold in the shredded coconut and puffed quinoa. 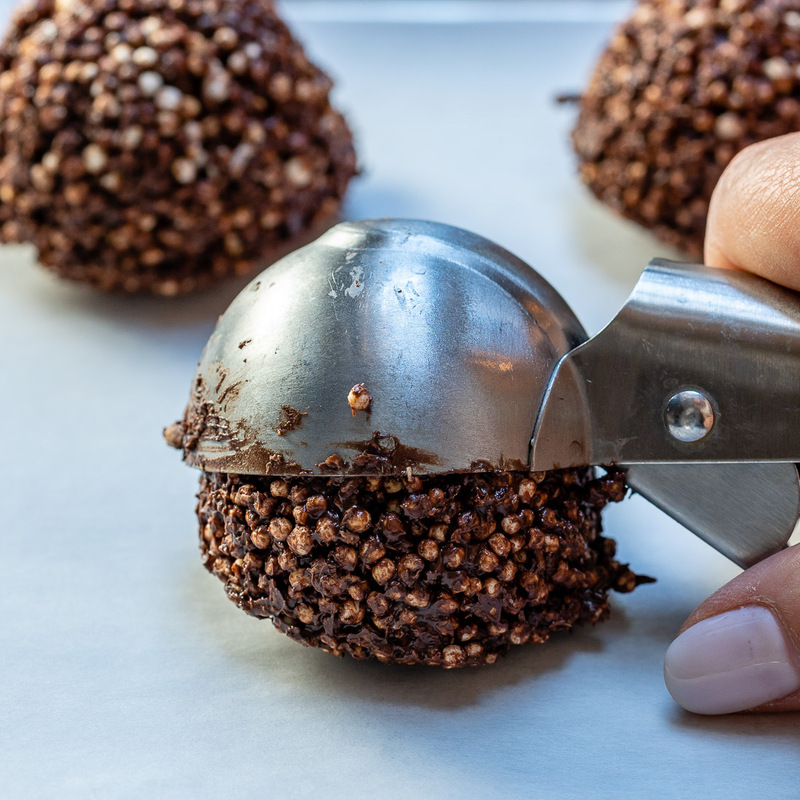 Using a cookie scoop, scoop about 8 balls on a parchment lined baking sheet and refrigerate for about 20 minutes until chocolate sets. Enjoy immediately, or store in the refrigerator in a sealed container.